Your customers feel at home with technology; don’t turn away from it. Now that the rush of the holiday season is gone and the dust has settled, it’s time to look ahead. Whether you’re a seasoned restaurant owner or new to the industry, cutting costs while giving your customers the best possible experience should be a top priority at the beginning of each New Year. If you’re looking to make a major operational change, now is the time to do it. Technology advancements have left a massive footprint on the food industry, from farming to cooking to marketing. With tech driving the progress of the dining experience, there is no reason it shouldn’t be a part of your restaurant, as well. When it comes to implementing the newest dining technology while also making a profit, it may sometimes feel as though you can’t have both simultaneously. The digitization of restaurants comes at a heavy price, and it’s sometimes hard to see the return when you’re shelling out thousands. The good news is there are several ways to use technology to streamline your operations and increase efficiency while also cutting costs, and with 2017 here, it’s time to turn to innovation. Chances are, if you take a quick audit of your restaurant at prime dining time, you’ll see a good amount of patrons on their phone. Whether they’re making plans for later in the evening, Googling an actor’s name or checking the score of the game, technology inevitably makes its way into your customers’ dining experience whether you want it to or not. The common mistake restaurant owners make is assuming this to be a bad thing, when in reality, you should be using it to your advantage. If your goal is fast service, consider implementing self-service kiosks at your tables. This does not eliminate the need for wait staff, but it certainly makes their job easier. If the idea of a tablet or kiosk on the table is too big a step, providing your employees with handheld devices, like a multi-purpose tablet, might be a good place to start. Even the best waiters and waitresses may deliver a check a few minutes too late, or take a little too long to process the payment. Bringing tableside kiosks and handheld tablets into the picture could mean putting the power into the customers’ hands, letting them wrap up their meal and pay without flagging down a waiter. Or, it could mean giving staff the power to process payments tableside, without the several-step process of paper checks. Your customers feel at home with technology; don’t turn away from it. Give your patrons what they want, and increase your productivity while doing so. There are companies, such as Juke Slot, creating tableside equipment for the sole purpose of increasing efficiency. If you haven’t implemented it yet, make 2017 the year. Credit card processing bills are one of the most commonly overlooked bills with more than 30 percent of business owners responding in a recent Fattmerchant survey saying they don’t look at their bill before paying it or have no knowledge about their merchant processing account. This is an alarming stat and one that can be completely avoided by doing research and understanding merchant processing options and how to run a secure business. Don’t let outdated traditions get in the way of increased efficiency. If you’ve taken the first step to implement the newest dining tech in your restaurant, make sure your payment processing is up to speed and affordable. If your wait staff’s handheld tablets don’t accept chip cards, you could be at a heightened risk of fraud liability. If your tableside kiosks don’t accept pricier cards like American Express, you could be losing customers. If payment processing is costing you more than it should, you may have to start making sacrifices elsewhere to save money, which could negate the innovation you set out to achieve. First, start by taking a close look at your credit card processing statements from 2016. Are there a lot of markups and fees going beyond the interchange rates? Call up your processing provider and negotiate the ancillary fees and markups cutting into your bottom line. If they’re not willing to negotiate or are still trying to charge you a significant amount on top of interchange, it may be time to find a new provider. Once you’ve ensured you’re not getting overcharged for credit card processing, find a way to incorporate it into your operational tech to streamline the entire process. Make 2017 a year of prosperity and excellent customer experience for your restaurant. When it comes time for your tables to check out, don’t let outdated traditions get in the way of increased efficiency. Find what worked for you the past year, what can be improved and what can be cut out altogether – your customers and your bottom line will thank you. 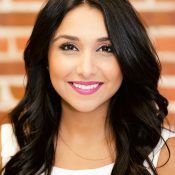 Suneera Madhani founded Fattmerchant with the promise to establish a transparent subscription-based merchant services model that offers financial and strategic value to the everyday business owner.